Kansas City councilwoman Heather Hall has been appointed to the National League of Cities (NLC) Public Safety and Crime Prevention federal advocacy committee. KANSAS CITY, Mo. 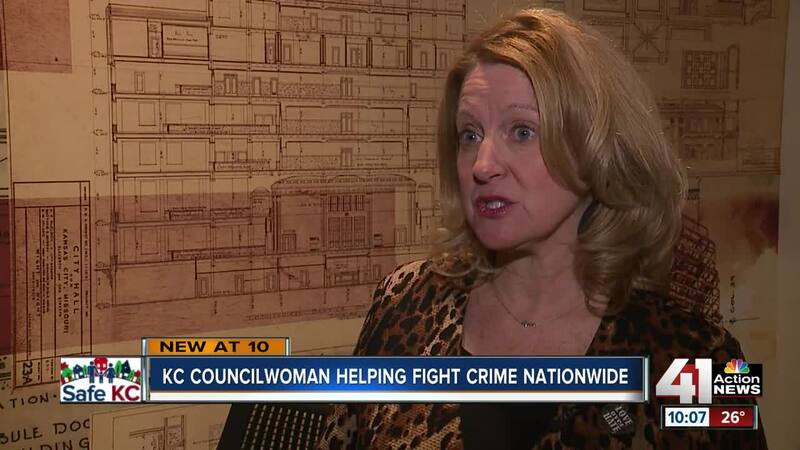 — Kansas City councilwoman Heather Hall has been appointed to the National League of Cities (NLC) Public Safety and Crime Prevention federal advocacy committee . The committee is responsible for developing policy positions on issues involving crime prevention, corrections, substance abuse, municipal fire policy, juvenile justice, disaster preparedness and relief, homeland security, domestic terrorism, court systems and gun control. It will be made up of 45 council members and mayors from across the country. "I am really excited to figure out what we have in common and then what are areas I can glean from them to bring back to our police chief and our departments and our people to say, 'let's work on something together,'" said Hall. As part of the committee, Hall will be help create policies for the NLC. These policies are aimed at reducing and preventing crime, enhancing relationships between federal and local governments. Two of the ideas Hall said she is excited to share with others about Kansas City is how the police department added social workers to each station and increased the number of Community Interaction Officers. "It adds that extra ability for us to have, for us to help people rather than put people in jail," she said.